There are some SERIOUSLY awesome comediennes running around Hollywood these days. Most with some killer life advice. 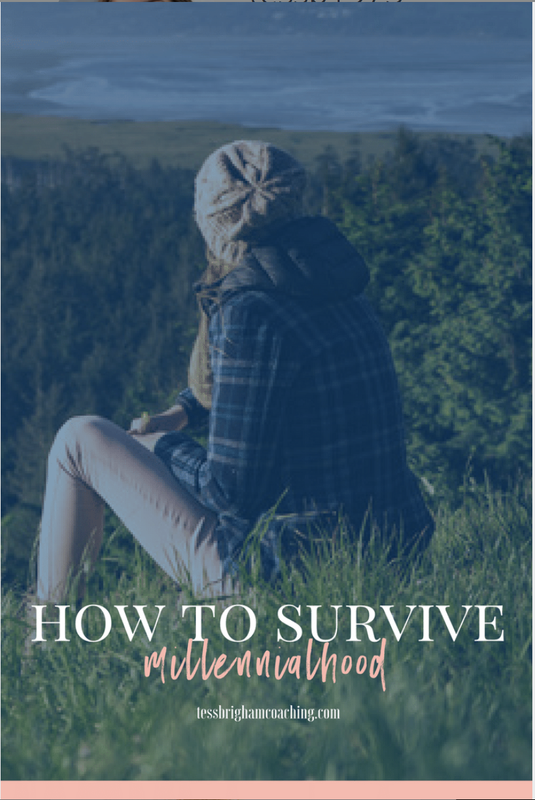 I’ve gathered some of my favorites together for an irresistible collection of life-advice worth saving for those days when you Just. Can’t. Even. When our lives feel like they're out of control we want to try and "fix" the problem right away. Unfortunately that's just not possible. If you make one small change each day, before you know it, you'll start to notice your thoughts become clearer and your confidence become stronger. Known for: Award winning actress of TV shows ‘The Mindy Project’ and ‘The Office’, author of books Is Everyone Hanging Out Without Me and Why Not Me. Known for: ‘SNL’, ‘Parks and Recreation’, ‘Baby Mama’, ‘Sisters’, co-host of 71st and 72nd Annual Golden Globe Awards, and author of Yes Please. Recognize that anytime you plan to take a big leap into a new career or relationship, or you are thinking about pursuing your dream of being a writer, comedian, artists; you will feel fear, and that’s okay. Known for: Cutting edge comedy, ‘Chelsea Lately’, ‘Chelsea’, and author of Are You There Vodka? It’s Me, Chelsea. Try to distinguish that perfectly natural voice of fear of the unknown, from the real long-term needs you’ve uncovered through this process. Known for: First openly gay woman on television, ‘The Ellen Show’, ‘Finding Nemo’, ‘Finding Dory’, Seriously...I’m Kidding , The Funny Thing Is…, My Point...And I Do Have One. "When you don't understand something, it becomes a battle. Fear makes people defensive, aggressive and judgmental. But if you can see that while we're all different, our basic needs are the same — we all want love, safety and understanding — then it's easy to be kind." It’s important for your to try and experience new things because this is the best way to determine what you want and don’t want and to start making choices to see what’s right for you. Through this process you’ll begin to understand yourself and what you want your life to look like. Known for: Witty comedy including ‘SNL’, ‘Bridesmaids’, ‘Ghostbusters’. People achieve great things because they don’t give up, they keep going even after they’ve fallen down and push themselves past their point of comfort. "Hold on to your friends. Kiss your mama. Admit what your dreams are. Don't beat yourself up if you don't know what you're gonna do tomorrow. But work hard and don't be lazy. And put away your damn phone once in a while. And be nice to jerks, because we still don't know the criteria for getting into heaven yet." If you put your time and energy into figuring out who you are and what you want from life now, in your 20s, the stronger and more sure of yourself you will be in your 30s, 40s, and 50s. "When I was fired (from Saturday Night Live), I ordered 50 million pizzas and invited all of my friends over. It’s important to let yourself go through all the emotions. But if you start seeing yourself as a victim rather than as all of the other amazing things you could be, it’s time to snap out of it." Once you recognize you’re afraid you’re going to have to something that’s counter-intuitive to what your fear is telling you… keep going. “Respect isn't something you command through intimidation and intellectual bullying. It's something you build through a long life of treating people how you want to be treated, and focusing on your mission." There’s nothing wrong with getting help and advice from friends and family. We all need a trusted friend, parent or sister to help us figure out what’s the best route to take. What you need to remember is advice is just…advice. It’s someone else’s opinion or perspective on your life. Known for: ‘SNL’, ‘Baby Mama’, ‘30 Rock’, ‘Mean Girls’, co-host of 71st and 72nd Annual Golden Globe Awards, and author of Bossypants. “To me, YES AND means don't be afraid to contribute. It's your responsibility to contribute. Always make sure you're adding something to the discussion. Your initiations are worthwhile." You have to accept now that you will not be able to travel down every road and remember that no matter what choice you make, it’s right for you at this time of your life. Because it’s the choice you made. My own quarter-life crisis hit me when I was 27. By the time I realized what was happening, I was unemployed, completely broke and living with my mother. I had no idea when the actual crisis started—that’s the thing about a crisis, it tends to catch you off guard— but I definitely knew when it got the best of me. All I could do was surrender to what was happening. You have permission to enjoy your life however you want.